Dr. Charles Marchese completed his surgical training at New York Methodist Hospital in 1989 in forefoot reconstruction and diabetic foot care. He is board certified and a diplomate of the American Board of Podiatric Surgery. He is a Fellow of the American College of Foot and Ankle Surgeons, Diplomate of the American Board of Foot Surgery, and a Fellow of Academy of Physicians in Wound Healing. He is board certified in foot surgery by the American College of Foot & Ankle Surgeons. 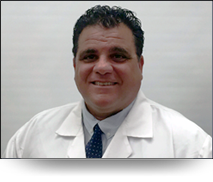 Dr. Marchese is a graduate of New York College of Podiatric Medicine, Foot Clinics of New York. Dr. Marchese served as Director, Division of Podiatric Surgery, at the Ambulatory Surgery Center of Brooklyn from 1993 to 2003. He is actively involved in the training of residents at the Veterans Administration Hospital in Brooklyn, NY. Dr. Marchese is in private practice since 1989 in the office he started and constructed. He chose Avenue U because it was in the neighborhood he was born in, and it allowed him to develop the type of family practice he wanted. He has added to that practice by opening the Staten Island location in 1995 and most recently, the Manalapan office. Both offices being in communities that he has family ties in. Dr. Marchese is available for house calls, in-office and hospital consultations. In addition to the primary office, Dr. Marchese has established a Staten Island and Manalapan location.